I know there are a lot of fans of this genius manager on Team-BHP (myself included). Well, he's coming out with a new book in December . Pre-order it here - I just did! Am expecting a lot of insights & stories on the Indian car scene. Within months of its launch in late 1998, with every well-known global automobile brand jockeying for a foothold in a small-car market almost monopolized by Maruti Udyog, Hyundai Motor India’s debut production, the Santro, emerged as a force to reckon with. The first car to be conceptualized and designed for – and then developed and manufactured in – India, the ‘Sunshine Car’ outshone its competition in every sphere, winning awards and setting standards in technology, quality and trust that are yet to be achieved by any other small car in the Indian market. Over a period of sixteen years, it set the record for the quickest small car brand to go from zero to a million units sold, achieved profitability for Hyundai at unprecedented speed and made an impressive global impact as a ‘made in India’ automobile in markets as diverse as Algeria and Zimbabwe, Western Europe and North America. 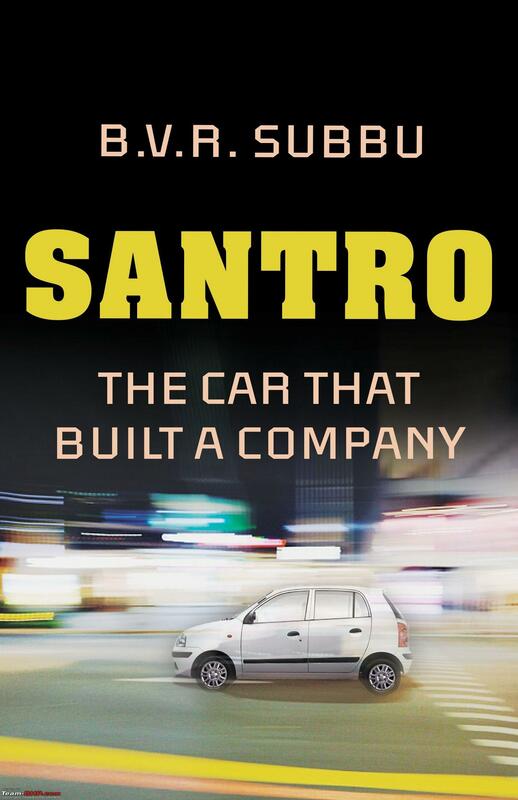 In Santro: The Car that Built a Company, B.V.R. Subbu, who spearheaded much of this success, reveals the hitherto untold story of how this small car made such a big impact and firmly established a relatively unknown Korean car manufacturer as a market leader in the Indian automobile industry. Vivid anecdotes detail the thrills and challenges of introducing a new product in a new market; the canny business decisions that overthrew the competition; the unforgettable marketing campaign with Shah Rukh Khan that made the car the household name it became; and the high-stakes power battles and everyday drama that characterize corporate India. A story about a car-like-no-other, B.V.R. Subbu’s narrative is by turns revelatory, insightful and thoroughly entertaining. If there’s one business book you read this year – let it be this one. 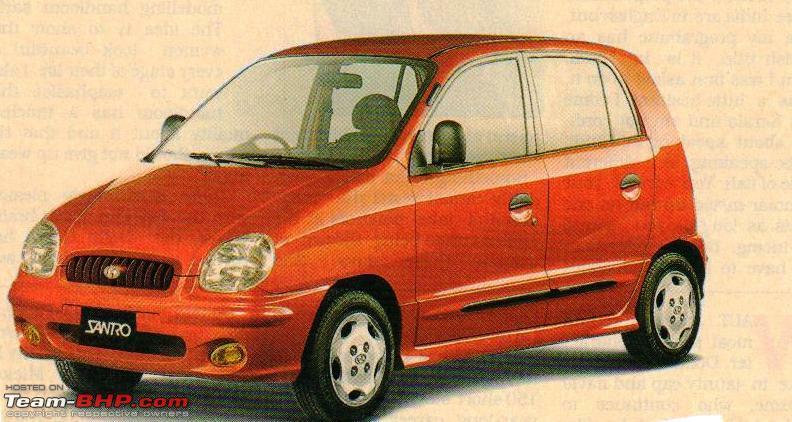 The first time I saw the Santro at a suburban dealership, I found it so ugly that I told the dealer not to waste his money and give up his dealership. How wrong could I have been! I read The Maruti Story around 4 years back and it indeed is a very good book.If someone wants to know how turn of events happened and Suzuki came to India. Thanks for the heads up. That would be an interesting read. How ironic that the car which made a company couldn't appear in its original, ugly avatar on the cover page! But then, that would be an unreasonable expectation - like expecting the biography of a person to feature a photo of his, taken at the time of his birth . 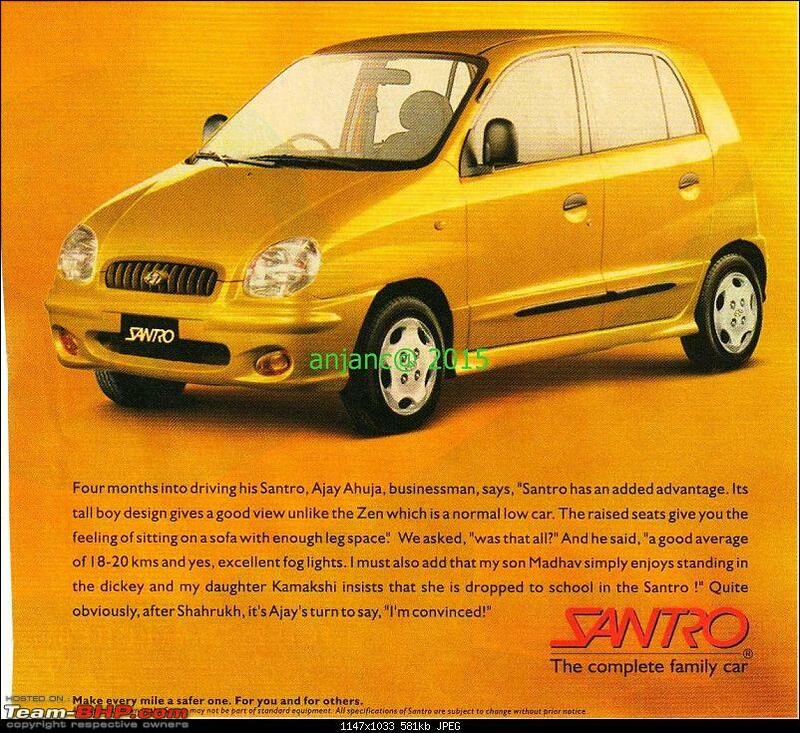 I've probably still got the first promotional poster of the original Santro somewhere in a storage box, in that unique bottle green shade. A revolutionary car in many ways, and the younger me definitely didn't consider it ugly. I had the poster up right next to my other favorite at the time, a (bluish silver?) Alfa Romeo Spider. Seems to be a very good homage to the original Tall Boy! 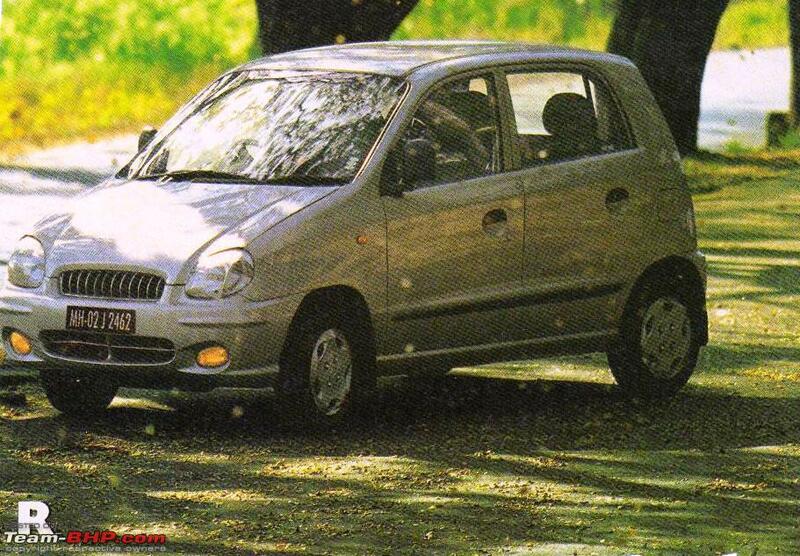 I too was sure that the Matiz would win over the Santro. Who knew that the entire company would be shut down so soon! Please share if you find it. 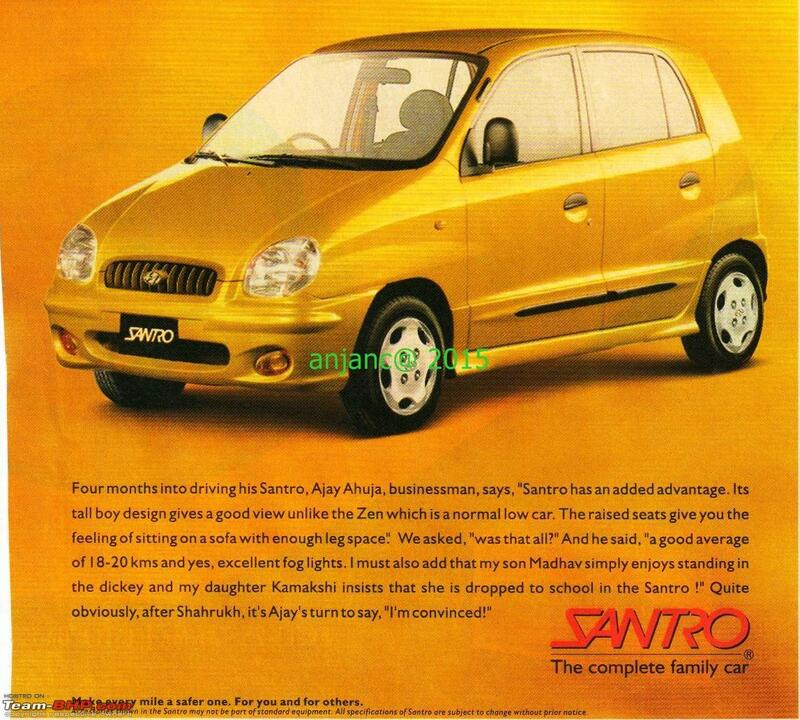 Here's the original Santro ad - thanks to salilpawar1 for sharing it in this post. That has come true, isn’t it? I’m a fan of Mr. B. V. R. Subbu for the way he took Hyundai from nowhere to everywhere very quickly. At one point in time, the Santro, Accent and Sonata were sales leaders in their respective segments. I’m sure this book has snippets and insights into an otherwise-closed organization that would prove to be an interesting read. 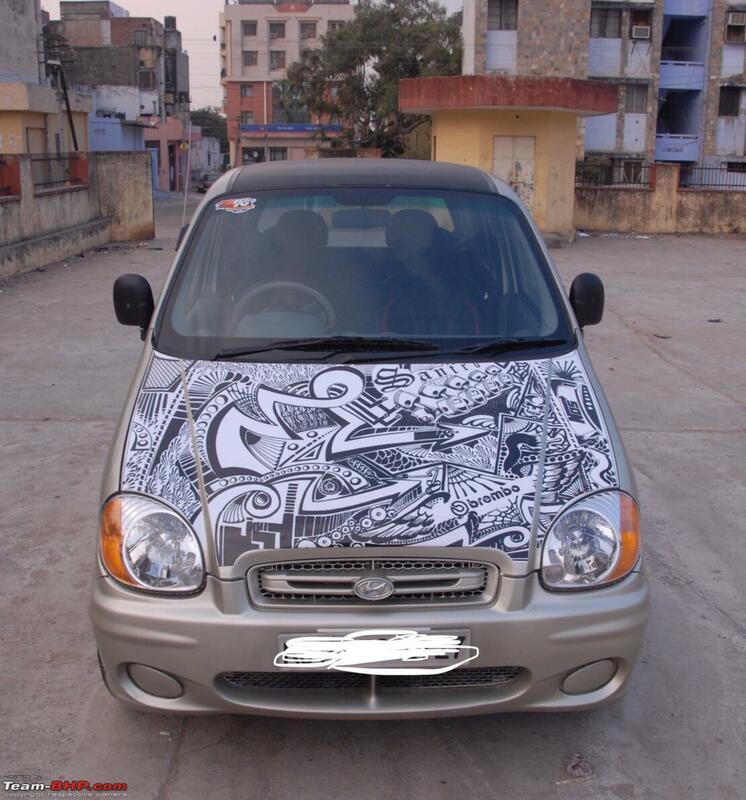 That brings us to the star of the thread, the Santro. I’m amazed at how popular this car is despite Hyundai ceasing production in 2012. Well-maintained Santros of 2005-06 vintage are going for prices similar to 2007-08 i10s. People’s trust in ‘Brand Santro’ is phenomenal and I honestly think Hyundai is not putting that to good use. I mean, building a brand is tough and here is a car-maker that built an iconic brand and isn’t, for some reason, using it to its advantage. Come on Hyundai, chuck the Eon out and get the Santro in! This is a must-read addition to my library ! Thanks for sharing. 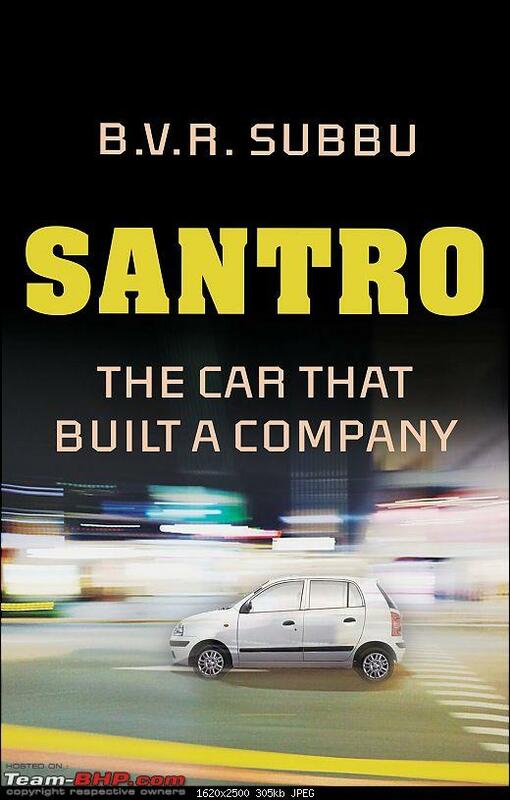 Btw, the book blurb reads that the Santro was conceptualized and designed for India ! Is that true? I thought the Hyundai Atos was on sale much before Santro came to India. Anyway, should make for an engrossing read about the car that drove mass modernity into India and the man behind it. 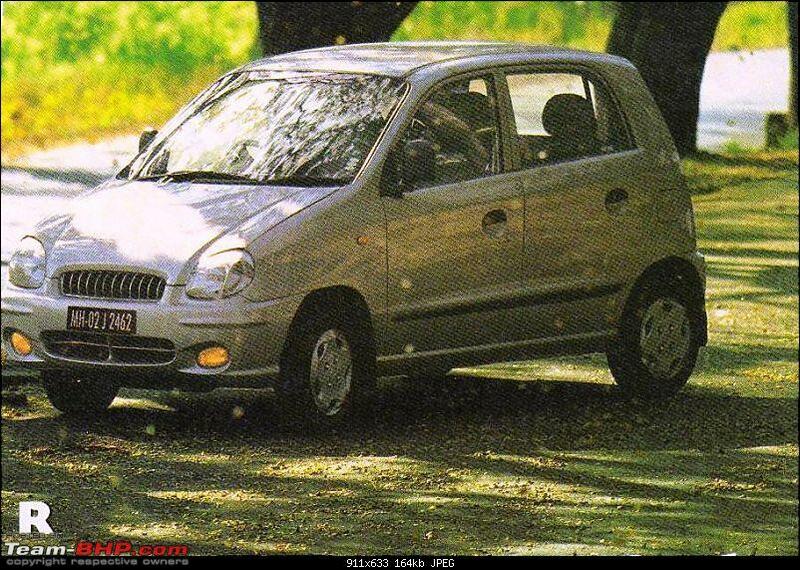 One of my relatives bought the first gen Santro that time. 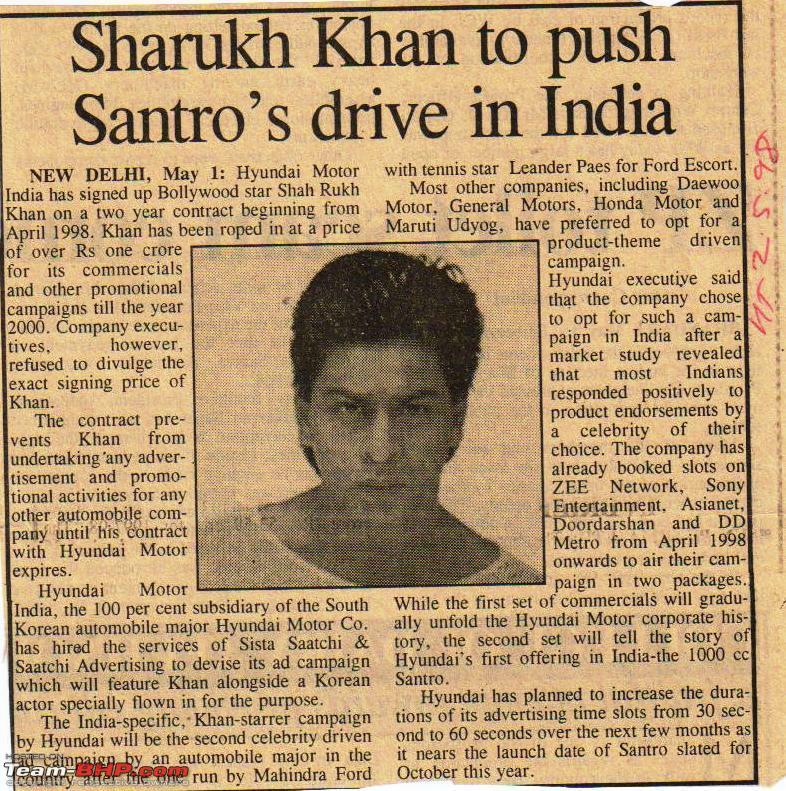 More than the celebrity endorsements, I think what worked out in favor of Santro was the availability of Vehicle loan. My relative gave a down payment of 20K and the EMI was around 5K (not sure) - the term Vehicle Loan at the Dealership itself was unheard of in the hatchback segment during those days. Last edited by jinojohnt : 10th November 2017 at 16:37. Sorry for being a little OT but this announcement comes at a perfect time. 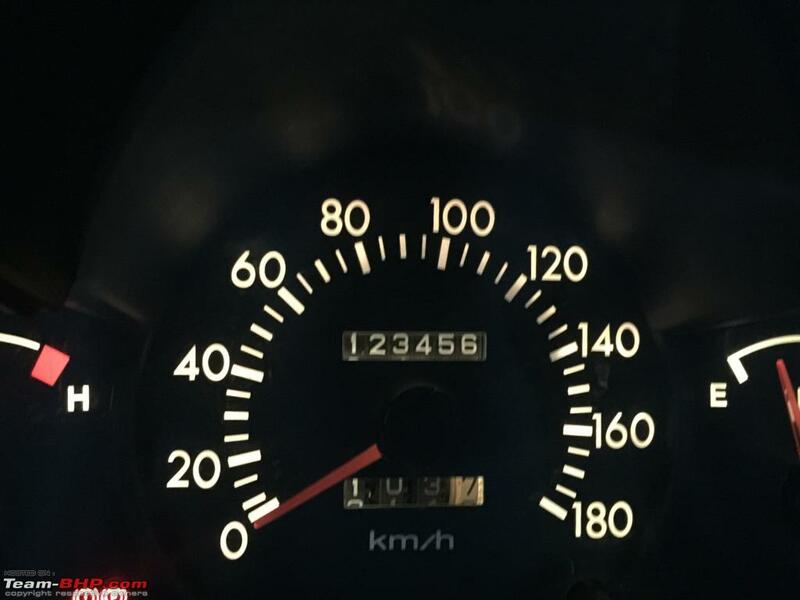 My Santro just crossed 1,23,456 kms yesterday. It was the car that I learnt driving on and even though I have a Laura TSI in the stable now, driving the Santro is no less fun. It is legend for me in its own right. 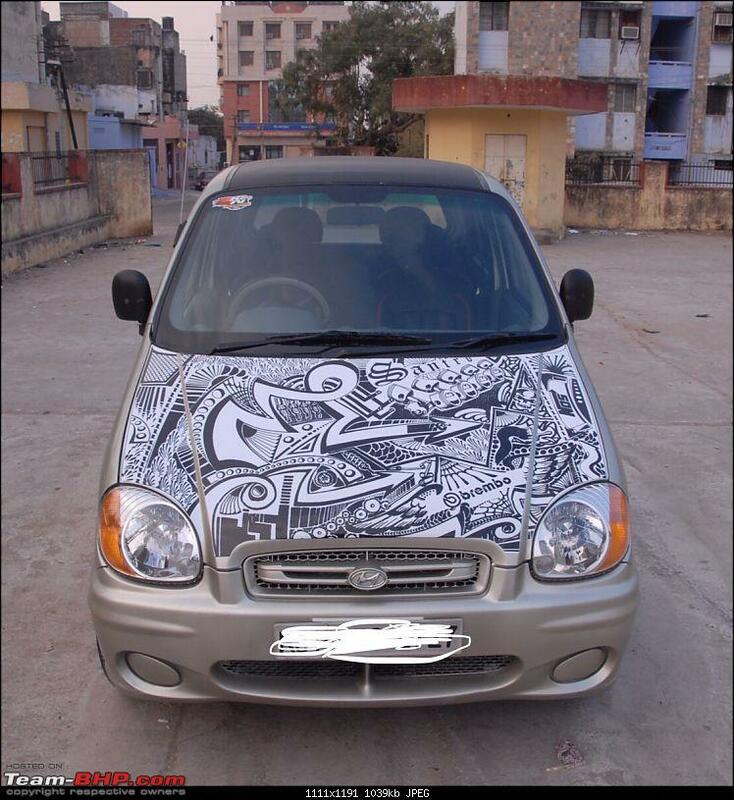 Santro brings a lot of nostalgic memories. 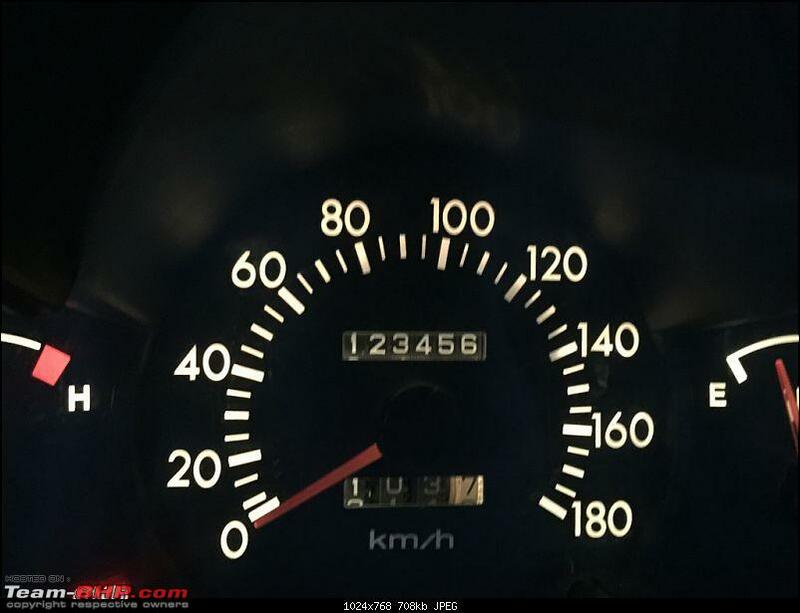 It was the car I learnt driving on. Thanks for sharing this news. Love to read the book! Hyundai has to take a lesson out of the Santro. If they really want to give Suzuki a run for it's money in the indian market all they have to do is come up with a new Santro, not get too fluidic with the design, price it in the 3-5 lac range by digging into their parts bin and keep it a tall boy. The rest as they say will be history repeated. Having the privilege to have met Mr. Subbu on several occasions, I can safely say that his sheer humility and wisdom shows in the title of the book itself. I'd go to the extent of saying it wasn't the Santro alone that built the company, rather it was Mr. Subbus' vast insight, prudence and ability to manage everything from manufacturing to going up against the industry juggernauts (Maruti & Tata at the time) that built the company. Cant wait for the book, pre-ordered it today ! Back in that day and age, can you imagine the task at hand for him? Their initiative to usher in their innings with a contemporary car model, in the soon to grow "B" segment, chosen at the right time was visionary and futuristic indeed, and it clicked. This was in the backdrop of so many mid 1990's "C" segment "new launches" from MNC's, a few of which were high-priced and dated. Hyundai (HMIL) settled down in a turbulent market and only then they talked of the "C" segment and brought in the then contemporary Accent model. Some models of Hyundai were launched in India first or were launched along with their global debut. This showed their seriousness and commitment for a long haul in our market. Customers were not in a mood to get slogged with dated models plus the high price tags, that came appended with high-cost of service and spares. Hyundai has in fact now become a household name in just 19 years.